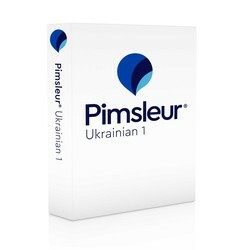 Discover how to learn Ukrainian with the Pimsleur Method. 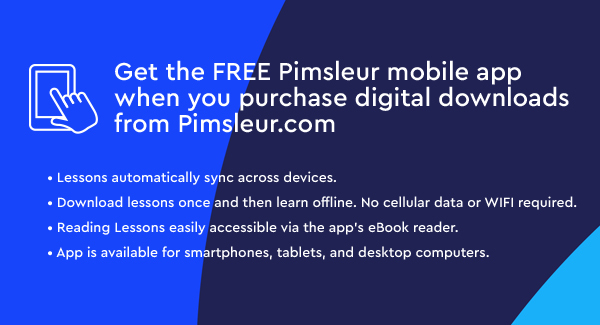 Start Speaking Ukrainian using the Pimsleur App! Ukrainian, a Slavic language, is the mother tongue of more than 50 million people. There are 3 major Ukrainian dialects - Northwest, Southwest, & East; they are mutually intelligible. Pimsleur's Ukrainian teaches Standard Ukrainian, the official state language. 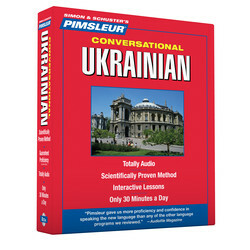 Learn Ukrainian today with Pimsleur. Lessons 1-16 from the Ukrainian Level 1 program on 8 CDs (8 hrs). Each lesson contains an intro conversation, and new vocabulary & structures. 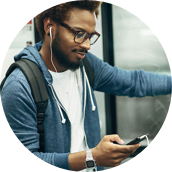 Learn essentials - greetings, meals, shopping, directions, and more.